Over the years, I have gone through dietary changes for various health reasons. Overall the way I eat would be considered “healthy” and yet there always seems to be some reason I need to modify what my diet. Despite the way I eat, my metabolism is not what it used to be and I am in the same boat as many other women out there wanting to conquer the weight that I have gained. And so when I saw that this book is specifically for midlife metabolism issues, I figured it would be worth checking to see if it would help. 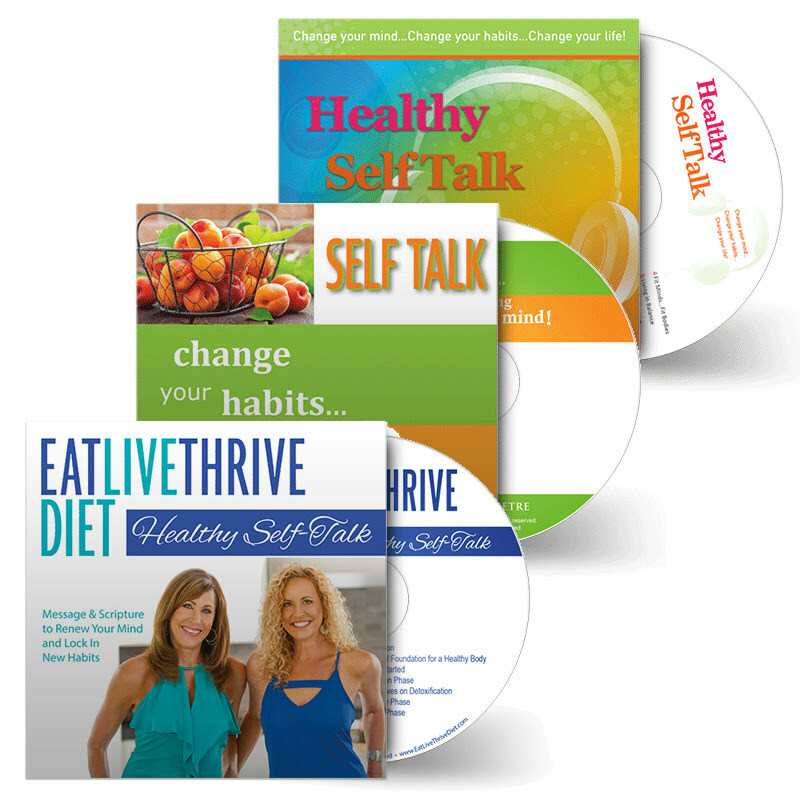 If you pre–order Eat Live Thrive Diet before it releases on March 26th, you qualify for our entire Healthy Self-Talk series that helps you change your habits from the inside out using both scripture and impactful statements to erase and replace negative thoughts that drive unwanted habits and behaviors. #2: Click Here to Redeem Your Bonus! I would like to thank Waterbrook & Multnomah for giving me this copy of the book. This gift did not influence my opinion or review. While there are some similarities, this is not a Paleo or Keto diet. In fact, the authors make a very interesting point about how strange it would be if God really did design our bodies in such a way that we have to trick them as the process of staying in ketosis requires. There is also a careful emphasis on making healthy choices even in the types of fats that you should eat. One of the things I appreciate is that this is not simply an eating plan for losing weight nor is it written by people who have never had weight issues. The authors have both struggled with weight, unhealthy eating, and image insecurities. In addition to suggestions on how to eat are encouragements from Scripture to not focus on outward appearance. Suggestions for when to eat as well as exercise and other lifestyle changes that can be made are also included. After reading the book, I started implementing the eating plan. There is an initial two-week elimination phase consisting of avoiding foods that are common sensitivities. After this phase, you are guided in how to slowly add those foods back into your diet in a way that you can identify which ones are a problem. The final phase is the “maintenance” phase. I’m now at the phase where I am adding foods back in after the two week elimination. Of course, my hope was that I would be seeing a reduction in my weight right away, but I will be honest with you, according to what I see on the scale and in the way my clothes fit, there isn’t any difference yet. But with the various food allergies and sensitivities I deal with, I am not able to include a number of the recommendations in my diet. In addition, my previous diet had already excluded significant amounts of foods I shouldn’t be eating, so the changes I have made have not been all that radical. Plus, did I mention it has only been two weeks? So here is my thought. Even if my weight doesn’t change, there is some very good material in the book that can help to change the way you think about your body and the way you eat. If your diet is not very good right now, this is a very practical and balanced way of eating that can help. And I imagine others will have quicker results than I do because of the issues I deal with. So I recommend this to women who are at or past the mid-life stage and need to make a dietary change. I think this would be useful for younger women to get an earlier start into an overall healthy way of living.